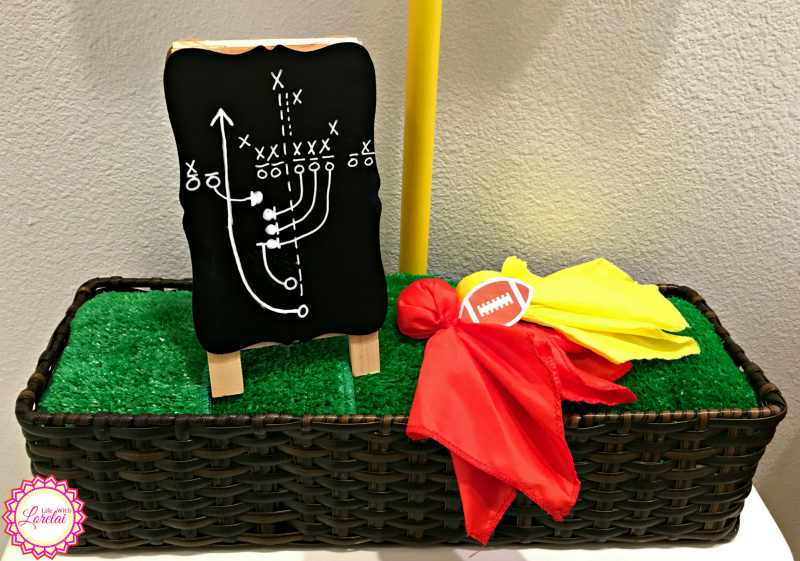 Give your bathroom a mini-update with football decor for the big game. 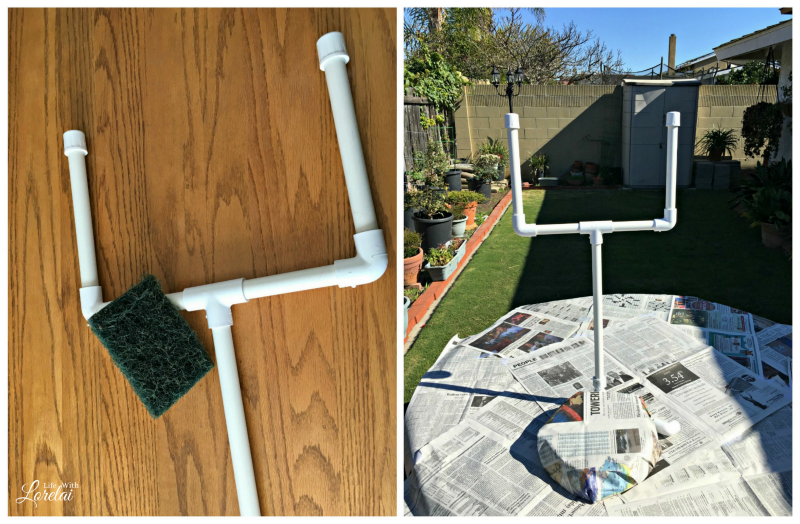 Make a DIY Football Goal Post Toilet Paper Holder that scores! Score With Football Decor For The Mega Game! When planning for the big game, you need to put a few plays into motion. Of course, you have to clean the house and have plenty of seating and space for viewing. Maybe you even have a few party games going to excite the fans. 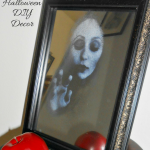 But part of the mega fun of game day is having festive decor to boost the party atmosphere. 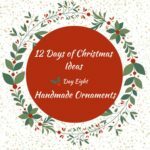 It is a no-brainer to decorate the main entertaining areas of your home, so today, I am sharing an idea for that little room everybody needs and nobody wants to discuss. I am solving a problem every hostess worries about. 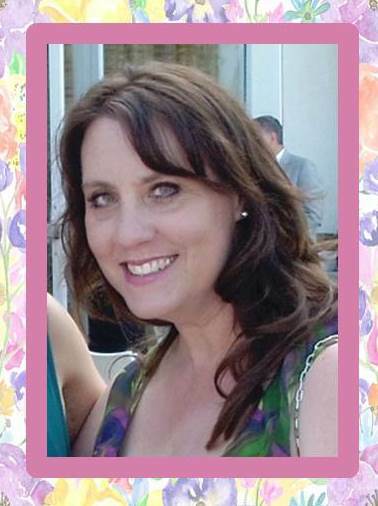 As a hostess, you strive to meet all of your guests’ wants and needs and make them as comfortable as possible so they can enjoy the party. You worry about the little things… you know, like having a guest run out of toilet paper and searching through your cabinets and drawers for more. YIKES! Right? Nobody wants to be in that situation. Block the punt with two easy mega plays that will gain you a first down in guest comfort. First, stock up on Quilted Northern Ultra Soft & Strong® Mega Rolls. Mega Rolls go the distance in keeping the rush to flush covered. These fuller rolls mean you have to change them less often. More yardage than other rolls and guaranteed to fit your standard holder — that scores an extra point! 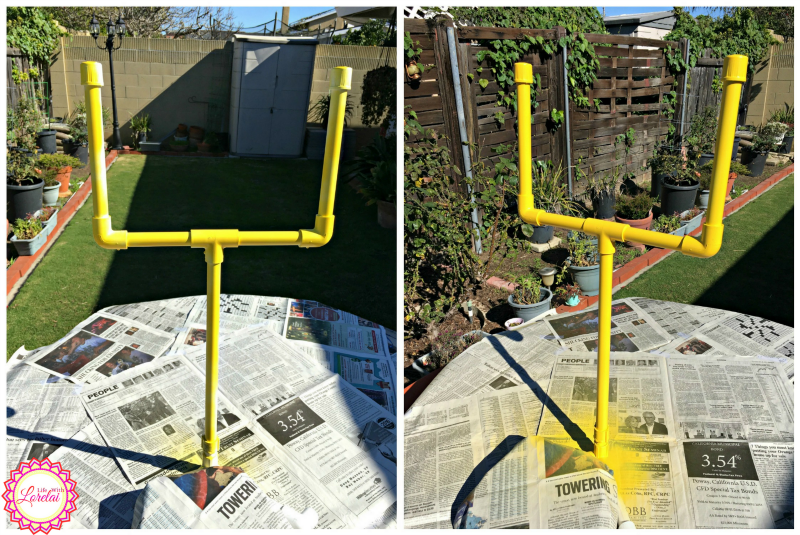 Second, make your own Football Goal Post Toilet Paper Holder. This football decor for your bathroom is both festive and functional. Parties for the mega football game can go on for hours on end, and let’s face it, the more guests the better. So, even with the large mega rolls, you don’t want to have a bath tissue fumble. Your guests will not have to search for a new roll, they will be in plain view — 2 point conversion! So, huddle-up and I’ll give you the play-by-play. 1 x 18 inches (I cut mine at 15 inches because I had extra height with a coupler). 1 Side Outlet 90-Degree Elbow (slip fitting, no threads) **NOTE – if you can only get a Side Outlet Elbow that has two slips and one threaded, you will need to get a 1/2 inch coupler to convert the threaded port to slip. That is what I had to use. Plan your project. The measurements above are what I used for mine, but depending on your base and space you may want yours smaller or larger. Test it out, and create a plan. Remove any stickers from pipes or fittings. Measure your PVC Pipe and mark where to cut with a pencil. 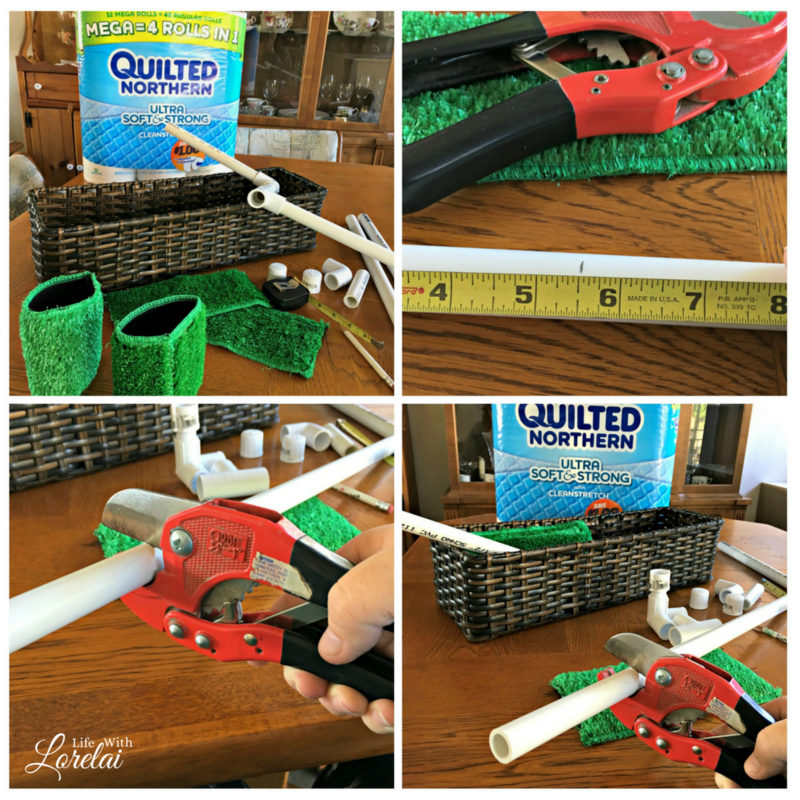 Cut the pipe using your cutters (a hacksaw will work too). 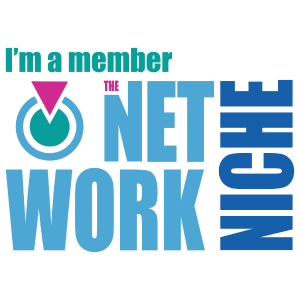 Once all lengths are cut, you can start assembling the goal post. Slide the two 5-1/2″ pipe pieces into the horizontal ends of the Tee with the perpendicular open end facing down. Add the Elbows to each end, with the open ends facing upward. Slip the 8-1/2″ pipe pieces into the upright ends of the Elbows. Place a Cap on the end of each upright. Attach the long 18″ pipe length into the downward opening of the Tee. Slide the Side Outlet Elbow onto the bottom of the long pipe. (If you need to attach a Coupler to the threaded port of the Side Outlet Elbow. Attach the Coupler to the pipe). Place your additional varied size pipe pieces to the final two opening of the Side Outlet Elbow. These will be your feet to make the goal post stand and do not need to be perfect as nobody will see them. Scuff the pipes and fittings so the paint will adhere. PVC Pipe and Fittings are stamped. You will want to turn all the pieces so the stamping is placed at the back of the goal post. The feet should be positioned coming out the front of the goal post. Squeeze the pipes and fittings together so they are tight. Gently wipe the pipes and fitting with alcohol to remove any oils from your fingertips. 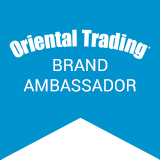 This will help the paint adhere better. Spray paint the goal post (check the tip below). Let it dry thoroughly. Sack that blushing quarterback before he gets started. Always apply spray paint in short bursts. Do a light coat just to fog the surface. Let that stand for a few seconds to get tacky then apply more, again in short burst of paint. Never hold the nozzle down for a steady spray, as that leads to blushing (a milky or hazy appearance and low gloss when dried). Place the constructed and painted goal post inside your base of choice (I used a basket that fit on top of the toilet tank). 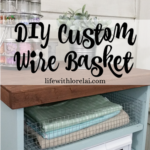 Stuff the basket with old newspaper to fill the space. Tuck the Football Turf over the newspaper and inside the basket sides. (I used football turf drink holders, and ripped the seem so they would lay flat). Decorate with other Football Decor. 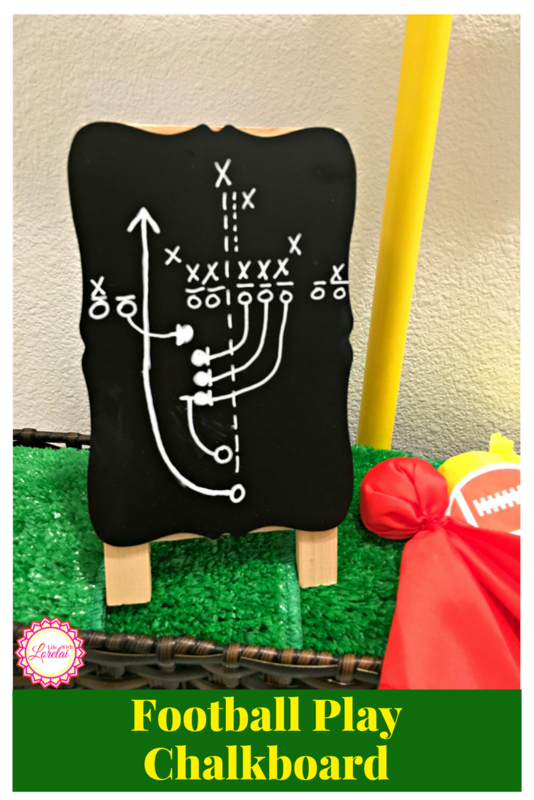 (I drew a football play on a small sandwich board style chalkboard, added a couple of penalty flags, and a cutout football). Add a Quilted Northern Ultra Soft & Strong Mega Roll to each upright. And there you have it. Your bathroom has a mini update with football decor providing mega impact, and you and your guests are all set for the kickoff. 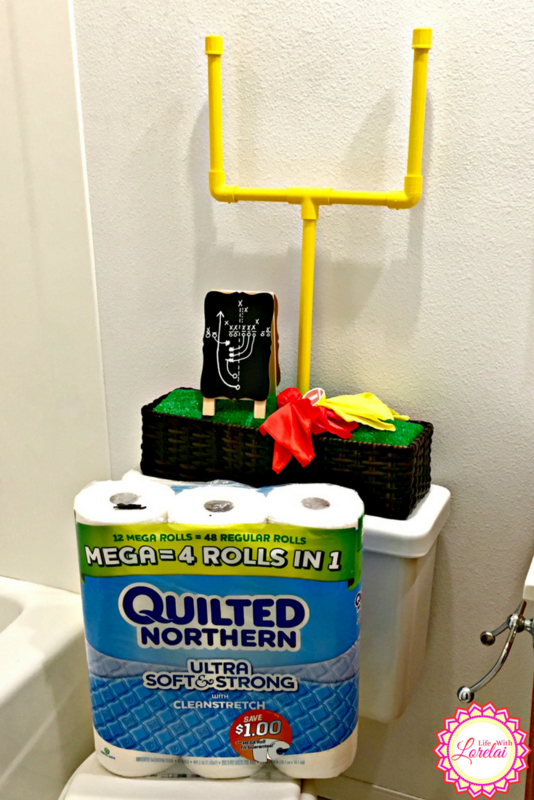 Score a touchdown — add Quilted Northern Mega Rolls to your Target shopping list and stock up for the #MegaGame ! For more Quilted Northern Inspiration click here. 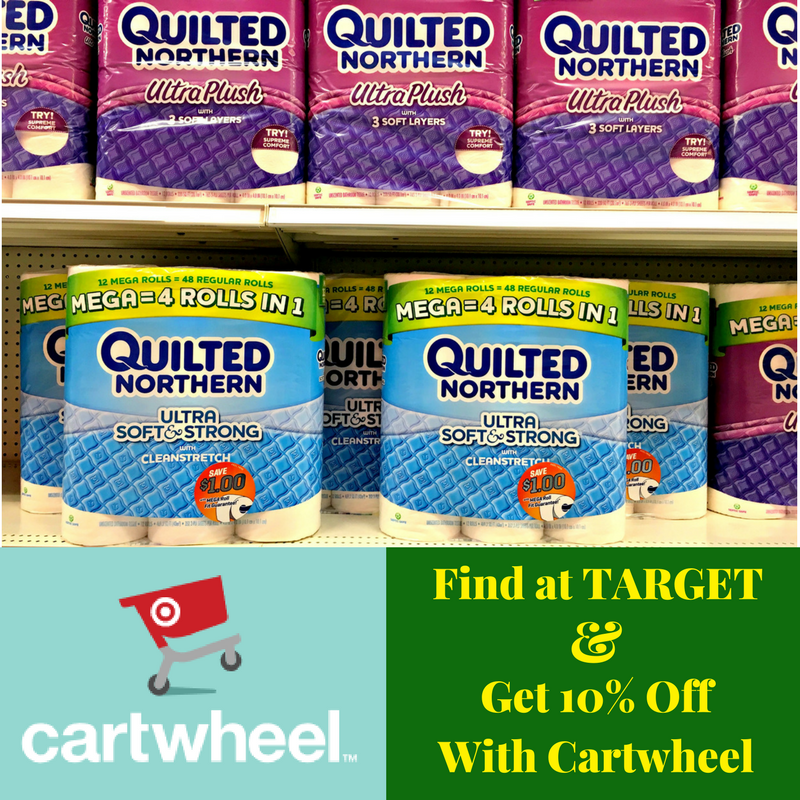 And, DO NOT MISS the awesome Cartwheel Offer — an additional 10% off at Target! Enjoy the Big Game and have some Mega Fun! As a huge fan of the NFL, this is the coolest bathroom decor I have seen for die hard fans! Love it! You can’t beat a good Cartwheel deal too! 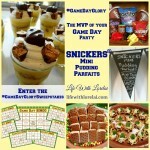 So creative… and the guests will get football around!! Having bigger rolls of toilet paper especially during parties is so helpful. Love Quilted Northern. I made a goalpost like that for my tablescape once but never thought to use in the bathroom for my Super Bowl Party. What an awesome idea! 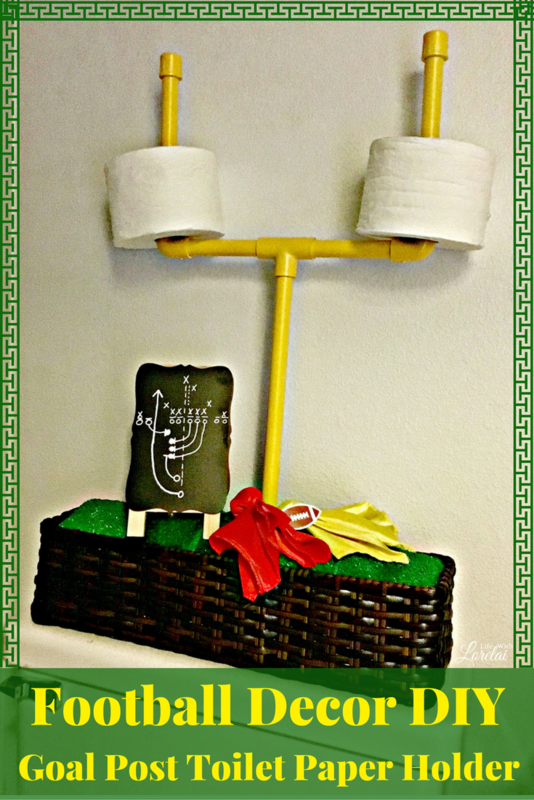 My boys would LOVE this football goal post toilet paper holder in their bathroom on Game Day and EVERY day! 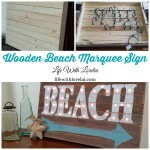 Thanks for sharing your DIY project at the #HomeMattersParty this week. 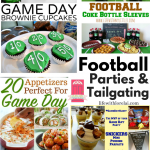 This is such a fun idea for game day – or for any football fan to keep up at all times. I might just have to try this one day for a party. As a boy mom, this is so fun! My boys would love it. LOL.. this is the funnest toilet paper holder I have ever seen. Its not only good for big game week, but my sons would have loved this stand. Who knows maybe they would put the paper on the roll even lol. 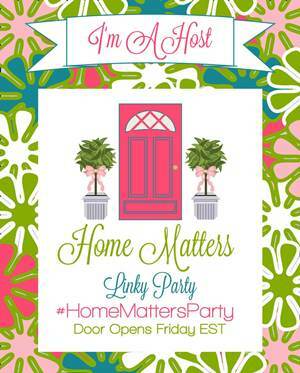 It is great to be co-hosting the #HomeMattersParty with you. You are teaching me so much.